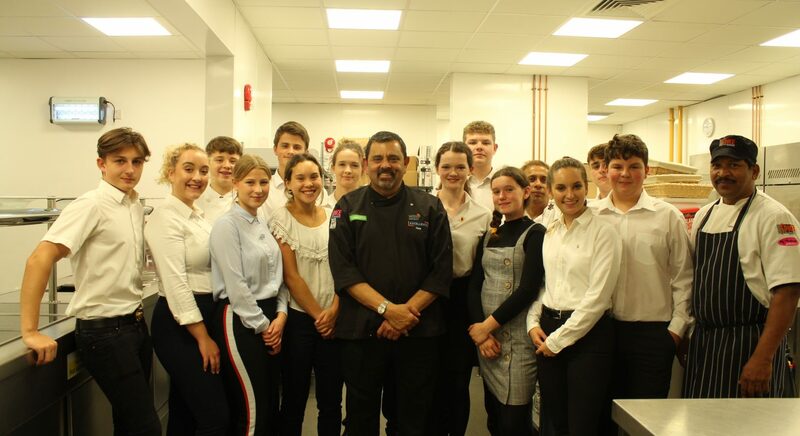 Diwali is on the horizon and Wisbech Grammar School is preparing for a visit from celebrity chef, Cyrus Todiwala on Friday 9 November 2018. 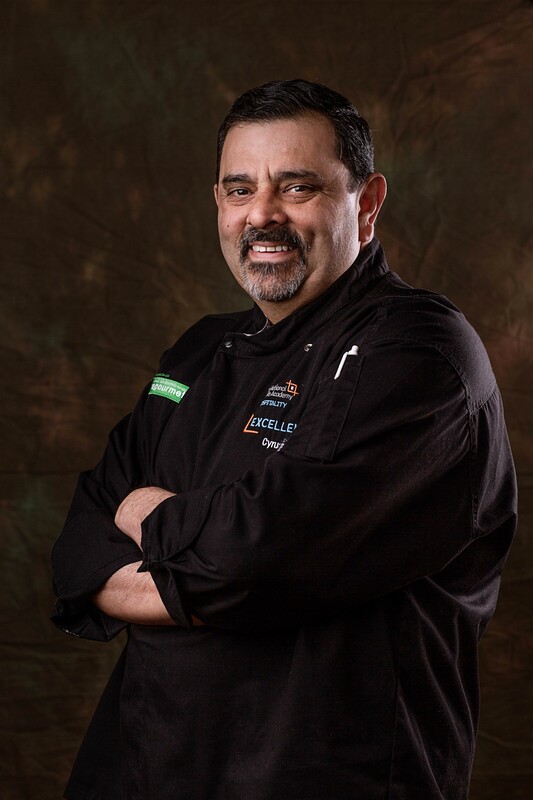 Cyrus Rustom Todiwala OBE, DL, is chef proprietor of Café Spice Namasté and a celebrity television chef. He trained at the Taj Hotels Resorts and Palaces chain in India, and rose to become executive chef for eleven restaurants within those hotels. So, what is on the menu for Cyrus’ Diwali banquet? You can expect canapés including Murghi Na Faarcha (Chicken strips marinated in coriander and cumin extract, crumbed, dipped in egg and fried) and Dahi Saev Batata Poori (Spiced crushed potato filled in puffed crisp poories seasoned with tamarind sauce, fresh green chutney and spiced yogurt). Then for starters your taste buds will be delighted by Balchao De Badejo (Pan grilled sea-bass fillet finished in classic Goan pickling masala flavoured with crushed, dried shrimps) and Salada De Cogumelo Misturado De Batata E Alho (Salad of mixed mushrooms, potato, garlic and salad leaves). Main course of Jardaloo Ma Gos No Palav (Diced lamb simmered in a tomato based sauce flavoured with Halman apricots, blended with rice and steamed), Masala Ni Daar (Pureed blend of lentils seasoned with garlic, green chilli and cumin, finished with tamarind pulp and raw cane sugar) and Jheena Taraela Papaeta (Fried baby potatoes sprinkled with spice dust). Dessert is a walnut and banana bread and butter pudding, Cinnamon and clove stewed apple and Maraschino cherry cream. 1) What gave you the inspiration for the menu? I was very cautious last year not knowing how the crowd would like our food. The success of that dinner led me to be a bit more bold this time round and hence the menu with more varietal cooking from various regions of India. Hopefully it shall be well received. 2) What can people expect from the evening? For one thing people can expect to be surprised with the menu and the food and simply come and enjoy. They can also expect a little talk from me to introduce the menu before they are led onto a small culinary journey of India. I suppose we can expect people to buy lots of books and raffle tickets to raise some good money for a great cause too. 3) What is your favourite dish to cook? Actually I have many things I love cooking but there is something about soups that takes you back to the very basic and making it tasty and flavourful. Hopefully your diners will enjoy the soup we have planned for them on the day. 4) Can you remember a food memory that helped inspire you to become a chef? Mama Mia no sire, wish I did but the smells of growing up in a kitchen always having wafting aromas of freshly made chapatis, daal and cumin rice are still my favourite smells and they drift me away a million miles and visualising mum in her apron working away and of course with a hanger without the hook tucked in it, should I decide to give her grief.